This month we’re running a highlight reel of our previous Bootcamp Ideas Competition winners in preparation for this years competition. 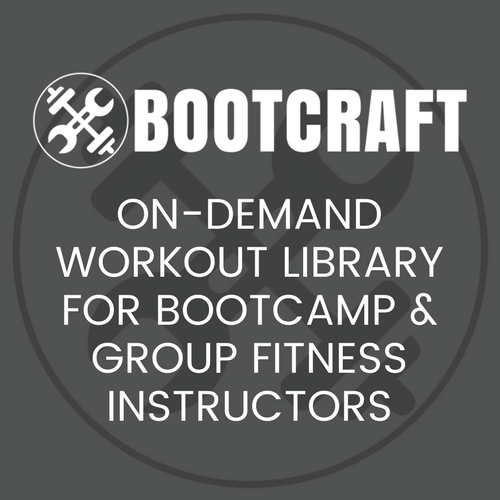 This workout was created by Jess Griffin from NJ Fit Training and was the winner of our very first Bootcamp Ideas Competition. Entries for the 2017 competition open early March so start looking through your own workout archives to find a workout that you would like to submit to this years competition. Other info: The athlete must go around the outside of each cone and not knock down cone or they do 5 burpees. Each person starts when person prior hits the first cone. I also have them alternate lead leg on shuffles each time. It’s jog/shuffle/backpedal/sprint/5 inchworm repeat. Using same 4 cones already set up (yay!) Add pile of scarves or tennis balls or beanbags, whatever, to center of square. Count off by 4’s and each number takes a corner. That is their HOME BASE. Each corner plays RPS (1, 2, 3, shoot!) and winners sprint to next corner to play there. Each time player wins he advances to next corner. The goal is to get around and back to HOMEBASE as fast as possible. Loser remains and does jumping jacks while they wait for another player to RPS with. We do light jog, basic quad/ham stretches, shoulders, glutes, chest, blah blah blah— then you are done! Wahoo! It’s a bit more math but you could divide the teams score by the number of people in the team giving you the average score of each person. You could then compare that score.